Big news coming from the folks over at Dodge Roll. Enter the Gungeon, their rogue-like-like twin stick shooter, is getting a major content update in Enter the Gungeon: Advance Gungeons & Draguns. The devs see this update as the completed version of their game and will include new content and features many of which are the result of player feedback. Some of these changes include: New NPCs, guns, items, mini-bosses, and rooms as well as a new major boss, the ability to slide over tables, and more generous drop rates. 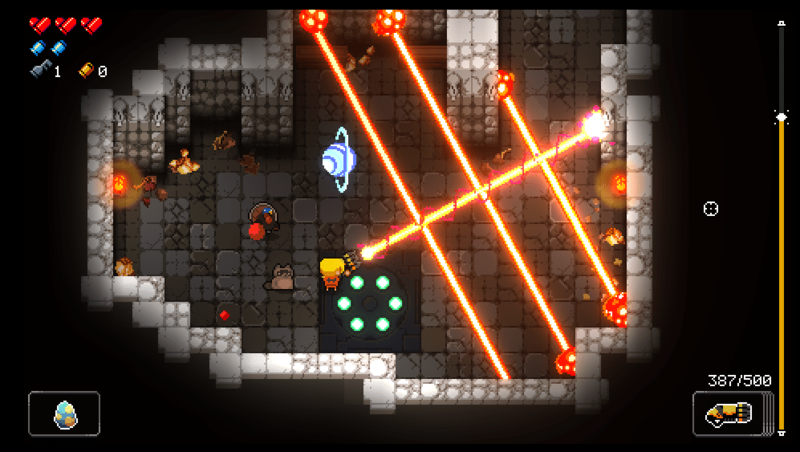 Dodge Roll adds that those who found the game to be too challenge may be able to enjoy this new version, however if you’re a Gungeon veteran who enjoys the game as it is you can still play the classic Gungeon you’ve grown to love. No word on a release date at this time but the devs say “soonish”, and they’re aiming for a simultaneous, or near simultaneous, release on all platforms: PC, XBox One, PS4, and Switch. The company did seem to imply on Twitter they’re planning some paid DLC in the future, however Advance G&D will be a FREE update. This update will release on July 19th. You can take the new Gungeon for a spin if you’re planning on heading out to PAX West, There will be a current build of the game there.